Are you planning your next house move? Or perhaps you’re relocating your offices to a new premises. Whatever your situation Brayden Removals can provide you with a full removal service that covers all aspects of logistics that will save you valuable time and headaches. 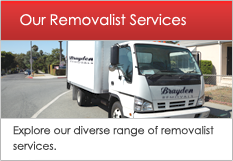 Whether you are seeking a professional removalist in Sydney, a removalist in Kellyville or even a removalist in Castle Hill, then you’ve come to the right place. In over 25 years of operations we have been exposed to all types of removals making our service reliable, simple and a smart move. 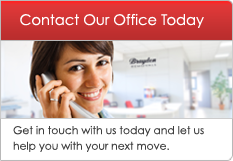 We operate all across Sydney and also carry out interstate moves across Australia. We regularly conduct removalist services within the Hills district, including Castle Hill, Kellyville, Rouse Hill and Bella Vista regions. We pride ourselves on the quality of our removal services ensuring that you experience a friendly and professional move. 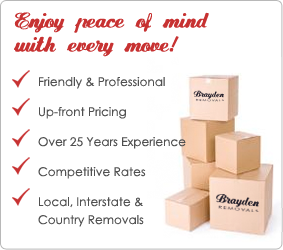 Brayden Removals is proud to have a team of experienced and well equipped staff that can help handle all of your moving needs. Now that you have made the decision to relocate your home or office, let us help you relieve the tensions and anxiety associated with your relocation. We offer free onsite and online quotes at your convenience day or night, seven days a week. Planning: Our furniture removalists will arrive with the right sized trucks and the proper equipment to make sure your move is completed on time and on budget. 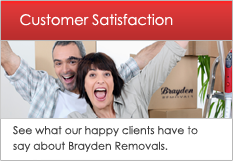 You can expect your removal with Brayden removals to be very smooth and easy. Pricing: All our pricing is clear, honest and up-front so that you know exactly what the costs will be in advance. Experience: With over 25 years servicing the Hills District and greater Sydney areas you can rest assured that we have the experience and credentials necessary for your peace of mind. So if you’re looking for a reliable and professional removalist in Castle Hill, Rouse Hill, Kellyville or Bella Vista then be sure to get in touch with us. 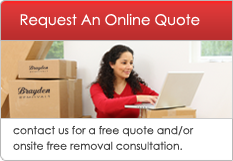 To request a quote or to enquire about our removal services just contact us on 02 8883 4446 and we’ll attend to your queries promptly. Alternatively, you can submit an online enquiry by clicking here.